Here's the cover for Marilyn's debut novel, Interred. 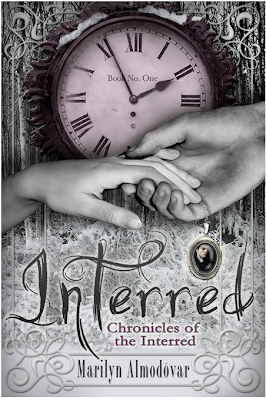 It is the first novel in her series, Chronicles of the Interred. Marilyn Almodóvar is an American YA Author born in Ft. Huachuca, Arizona. A lover of words with a penchant for Victorian novels as well as the books of Stephen King, Lyn's favorite past-times have always been reading and writing.